As you may know, Mark and I aren't eating out for the month of March, and it's been a little bit of a roller coaster. For the most part it's been fine and I haven't given it a lot of thought, but since we got Louie I've been longing for someone else to prepare my food. The first weekend with him was exhausting and cooking was the last thing I wanted to do. We stayed strong, though! Anyways, this Friday is April first, so I'm already thinking about where I want to go out for date night. Which got me thinking that I wanted to share some of my favorite Bay Area places for eats and drinks. Enjoy! Sausalito: Barrel House, pictured above. This is a really beautiful restaurant right on the Bay in Sausalito with amazing views of San Francisco. They even have a bar that hangs out over the water - that's where this picture was taken! My recommendation: make a day of it and bike across the Golden Gate bridge then reward yourself with a Gin and Tonic and this amazing view. Santa Cruz: Regale Winery, pictured below. I went here twice within three weeks, that's how good it is. Unbeknownst to me (until a month ago! ), there are several wineries up in the Santa Cruz Mountains, which is great for us South Bay folks who don't want to make the trek up to wine country. Regale has gorgeous views of the mountains, and it's a great place to pack a picnic and enjoy your day with some vino! San Francisco: The View. Perched atop the Marriott in the heart of SF, this lounge has ah-mazing views of the city and the Bay. We went at night, which was busy busy busy. This place gets crowded, so go for happy hour to beat the rush. San Jose: Hedley Club Lounge. If you're wanting to hear live jazz in a sleepy hotel, then this place is for you. I stumbled upon this place when I was in the mood for live music, so we went to check it out. The music doesn't start until later, but you can hang out and have a drink and apps beforehand. It wasn't very busy when we went on a Saturday, so I think this one may be a little hidden gem! San Jose: Cielo Rooftop Terrance. Is there any better way to have drinks than on a rooftop? I didn't think so. This one is another hidden gem on the roof of the Hotel Valencia in Santana Row, which is always a busy area, but not many people seem to know about this bar. There are lot of couches for lounging, and mountains for viewing here! San Jose: The Village Bistro. This is one of our most frequented brunch locales. It's part of Santana Row, which is a trendy shopping area in San Jose. There are several restaurants to try, tons of shopping, usually there's live music, and the people watching is top notch. San Jose: The Table. I found this via Yelp, and we decided to give it a try one Saturday morning last fall. Let me tell you, it did not disappoint! The serve monkey bread as an appetizer, if that tells you anything. Go early, or you'll end up in a line out the door. San Francisco: A 16, pictured above. If you couldn't tell from the picture, this place is adorable. It's nestled in on Chestnut street, and it may look tiny, but it extends back pretty far. I've been a couple times, but the first time I went with Mark I couldn't stop saying the word cute the whole time we were there. It was so quaint, and I loved every minute from the delicious cocktails, to the pizza and pasta. I mean, #carbs. Los Gatos: Willow Street Pizza. Speaking of pizza, this place is a thumbs way up. It's a chain (boo), but don't let that ruin it for you. The first thing its got going for it is that it's on the main street in Los Gatos, which is the cutest town. And the second thing is well, the pizza. It's really good. I never would have guessed that it was a chain either, because it had a great atmosphere! Plus, there's a huge patio. Yas! Lost Gatos: I Gatti. 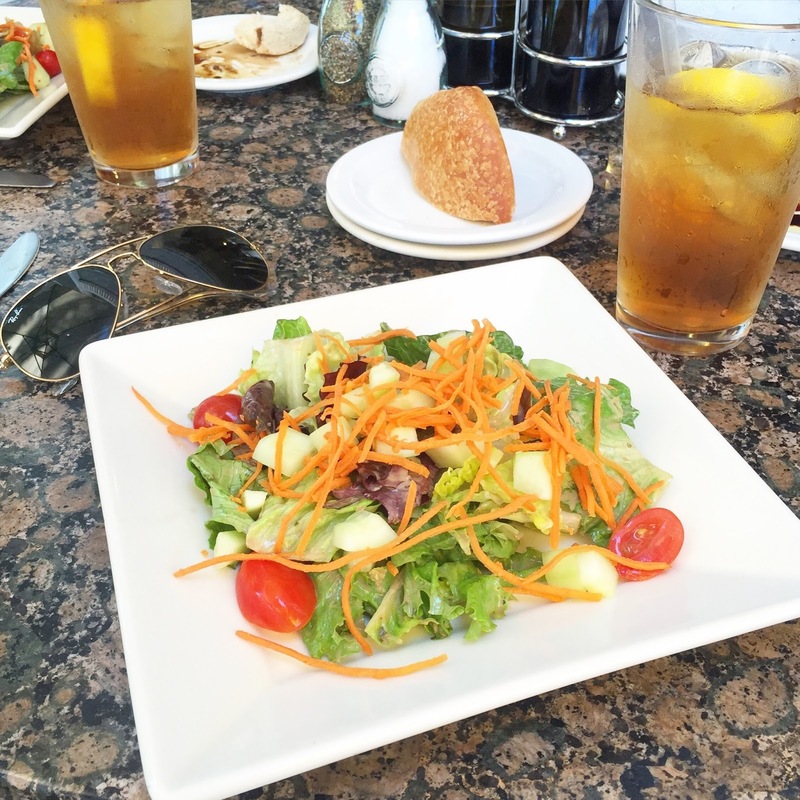 Another Los Gatos gem, this place has scrumptious Italian food. Are you sensing a theme here? I'll give you a hint: I love carbs. I had lunch at I Gatti on my birthday last year, so it holds a special place in my heart. It's really tiny, which makes it all the more charming, and it has a patio out front so you can people watch! Mountain View: Downtown. I won't pick any one restaurant because there are a ton and they're all good. I will give a shoutout to La Fontaine, and Blue Line Pizza though ;) Castro street in MTV is adorable. At night there are twinkle lights, and everyone sits outside. It's really lovely! If you're in the South Bay 'burbs, be sure to check it out! San Francisco: Smitten pictured below. Okay, so it may seem ludicrous to spend $6 on a single scoop of ice cream, but wait, this is not just any single scoop of ice cream. This ice cream is frozen right in front of you with liquid nitrogen! Okay, so maybe it is a little bit ludicrous, but it's actually delicious. I got mine with cookie dough as a topping, and there were pretzels in the cookie dough. What the what? So good. Definitely worth the hype. San Francisco: 21st Amendment Brewery. This is the only place in the city that has cheese curds! I repeat, this is the only place in the city that has cheese curds! And not just any old cheese curds, actual, delicious, Wisconsin cheddar cheese curds. If you ask anyone from the midwest about this place, they'll all know about it because of said cheese curds. If you're from California and have never had the delicious battered delicacy that is cheese curds, then run, don't walk over to 21st Amendment. I'm not a beer drinker, but all of my friends have loved the micro-brews here too. Also, they have really great tater tots. Just saying. I really wish that I could have a Donuts section here, because you're probably aware of my love affair with the king of pastries. However, I haven't found any places that I love. Womp, womp. Would love recommendations if you have any! Well, I'm sure I've forgotten something since basically everywhere I've tried since moving here has been new and exciting. I'll make sure to update if I find somewhere else I want to share! Have you been to the Bay Area? If so, where did you eat?? Top: Old Navy. Pants: J. Crew (similar). Purse: Coach. Shoes: Steve Madden (similar). Earrings: Odette and Ophelia. 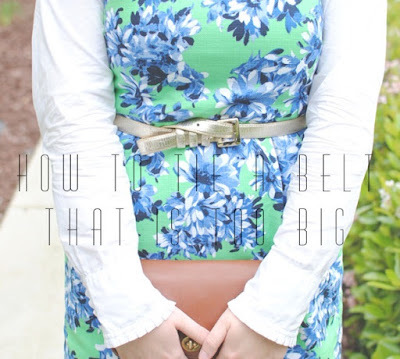 I don't know if you've heard, but Old Navy is seriously killing it in the spring department right now. You should definitely head over and check it out, plus you can get 50% off any one item and 30% off everything else right now! You should pretty much never pay full price for anything at Old Navy :) This top is so perfectly nautical and quintessentially spring I couldn't resist. I've been stocking up on striped pieces for spring and summer, and I can tell you I'll be wearing this top all the time. How was your weekend? We pretty much just hung out and played with Louie. For Easter yesterday we made a ton of food, watched basketball, and got some naps in. It was nice to just relax and not have anywhere to be. Dress: 1.STATE via Nordstrom. Wedges: Steve Madden (similar). Clutch: Gap (similar). Necklace: BaubleBar (super similar). Happy Friday, friends! This week was a quick one for me, even though I was perpetually exhausted and preoccupied with all things puppy. I can't wait to recharge and relax this weekend. Although I think my days of sleeping in might be over (insert wailing emoji). Anyways, I am obsessed with this dress. I think it may just be the most perfect striped dress ever. The different direction stripes, two-piece look, and ties in the back all make for a beautifully detailed piece. I kept accessories low key to let the dress speak for itself. I will definitely be getting a lot of wear out of this in the next few months. I can just picture myself wearing it on a boat...if only I liked boats (they terrify me)! As some of you may have seen on social media Mark and I got a puppy! His name is Louie and he's a five month old rescue pup. We think he's a Pomeranian, Dachshund mix of some kind. We're both huge dog lovers and had really been wanting a dog of our own, but it never seemed like a good time. We even applied for a few other dogs, and went to meet one, but it never panned out. The first dog we went to look at was at the Silicon Valley Animal Control Authority, and while that didn't work out, we really liked the vibe we got from them. So I had been periodically checking to see what kind of dogs were coming in to the SVACA and last week I saw him online and immediately sent Mark the link. We set up an appointment right away to go meet him on Saturday and fell in love with his friendly and cuddly personality. We took him home later that day! Even though we'd wanted a dog for a long time, it happened so fast. The first few days have been a whirlwind. I won't sugarcoat it: we're exhausted and overwhelmed. Having Mark as my partner in this has been amazing though. I can't imagine trying to raise a puppy alone! He has declared war against the throw pillows, loves to play, and would cuddle in our laps all day if he could. He also loves to bark at everything, doesn't like his kennel, and wants to be with us all the time. There is definitely a lot of work and training to be done. I'll admit that I've had my moments of doubt, and have freaked out about whether this was the right choice or not, but I do think it's impossible to be completed prepared for such a big life change. Honestly, the internet has been both a blessing and a curse. It's so nice to be able to immediately google "what kind of kibble should I be feeding my dog?" But there are millions of articles written about how to train dogs and what the best practices are and everything contradicts one another. It's so confusing! We're kind of just flying by the seat of our pants right now and hoping it works out. When he's adorably sleeping in my lap, or successfully goes potty outside it's all worth it though! I would love to hear any tips or suggestions, or just words of encouragement you may have about raising a dog! Pants: Old Navy. Top: Forever 21 (similar). Clutch: Coach (super similar). Necklaces: J. Crew and J. Crew Factory. Shoes: Steve Madden (similar). You may remember these pants from this post in Arizona. Well, still as obsessed with them now. The one thing I can't decide on is whether they're too casual for work. Even though Google is very casual, I think I'd feel like I was wearing PJs to work. What do you think? Our weekend was pretty crazy! I'll be sharing more about that exciting news on Wednesday! If you want a little sneak peak, you can head over to Instagram. It's about that time: time for the next installment of Recent Reads. As you probably know by now I love to read and it's one of my favorite things to talk about with friends. 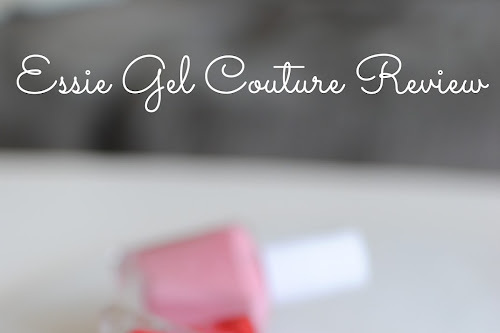 So naturally, I enjoy sharing my thoughts and recommendations here on the blog. First up is In a Dark, Dark Wood. Sounds creepy, no? Well if you thought so, you'd be right. 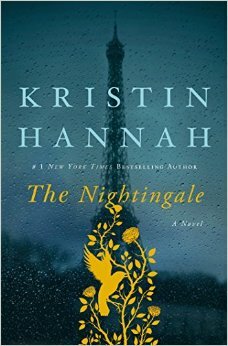 The main character, Nora, is invited to an old friend's bachelorette party after not seeing her for ten years. Out of curiosity, she goes to the party and let's just say things go awry. I definitely wouldn't say I'm into scary books or movies, but I do love the occasional thriller and this one fit the bill. It was akin to the level of suspense in Gillian Flynn books. I think this was the most recent book that I literally could. not. put. down. Read it in 24 hours. It's being made into a movie too, which I always enjoy. Oh, The Nightingale. Have you heard of it? It seems like everyone's reading it, and for good reason! It took me a little while to get into this one, but once I got into the swing of it I couldn't wait to find out what happened next. This book tells the story of two French sisters who fought against the Germans during WWII each in their own unique way. There's suspense, love, friendship, and a lot of heartbreak. My mom and I both cried reading this one, which is abnormal for us when it comes to reading. What I loved most about this book was that it's set in France and written from a French perspective. So much of what I've read and learned about WWII is from an American perspective, so this was a nice change. I was so excited when I got the notification that I was finally able to check out this book. I think I had to wait about four months for it to become available. (Not sure if I've mentioned this before, but I use the app OverDrive to rent library books and put them on my Kindle). 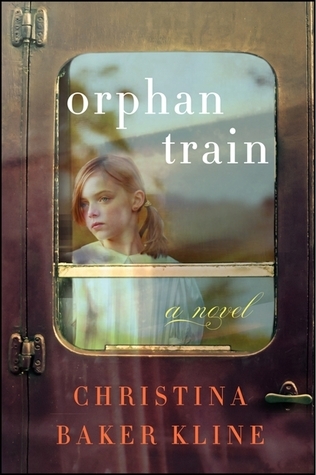 Orphan Train is the story of Niamh, an Irish immigrant who finds herself an orphan after only being in the U.S. for a few months. She's then sent out west on the "Orphan Train" that stops in various cities that hold adoption events. Niamh shares her incredible story with Molly, a young girl she relates to, once she's in her nineties. 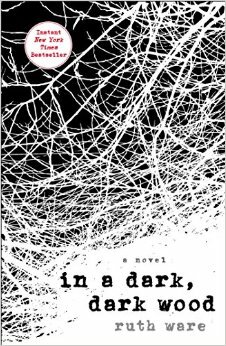 This one is also quite emotional, and I'll warn you that there is one pretty disturbing part, but overall a great read. I'll be honest, I totally judged this book by the cover for the longest time. And when I say cover I literally mean the title and the picture, not even the description about the Olympics on the front. Because I was so quick to judge I thought this was just some random book about a fictional rowing team. Wasn't interested. 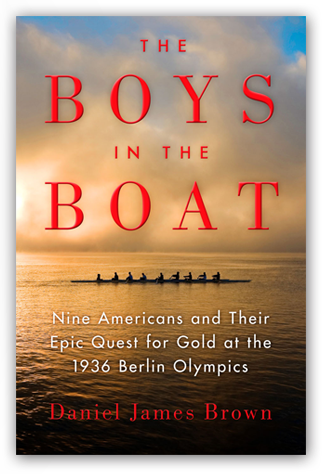 It wasn't until my mom was reading it that I found out it's the true story of the American olympic rowing team from 1936. I had zero knowledge about rowing, so it was kind of fun to learn all the terminology. I also enjoyed the historical aspect of this book, because I typically read fiction. 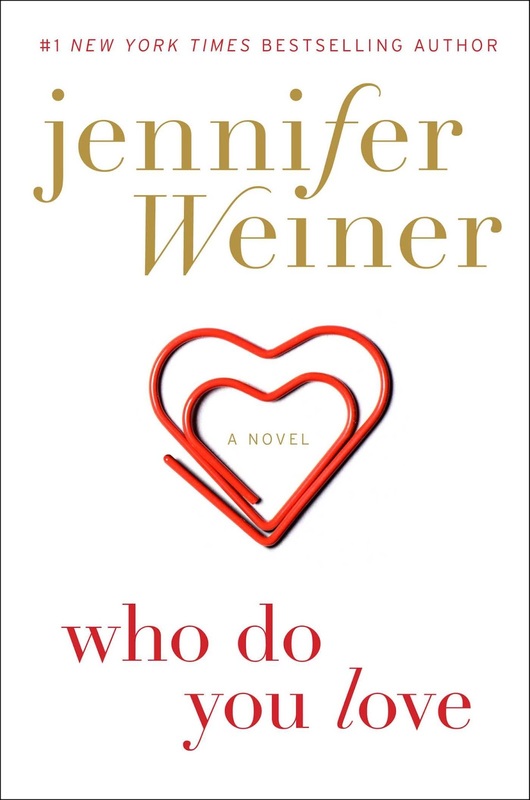 This book, that's who! Okay, done being corny :) but seriously, I loved this book more than I thought I would. I thought it was just going to be another of dozens of love stories I've read, but I really liked the way this particular love story was told. It's told over time, continually checking in with Andy and Rachel throughout their lives, starting with when they meet in a hospital emergency room at age eight. I also wanted to mention that I started and did not finish Fates and Furies. This is another book that I kept seeing as recommended, but I really hated it. I got about 1/3 of the way through before I had to stop. Has anyone else read this? Would love to hear your thoughts! Any other books I should know about? I'm currently reading The Book Thief (sensing a WWII theme lately?) and up next is The Royal We! I shot a quick little video tutorial for how to tie your belt like I did in this outfit post from last week. This little trick has come in handy for me a lot. I hope you enjoy (and don't judge my video skills too harshly)! p.s. I bought a zoodle maker and made this zoodle pad Thai from last Friday's post. It was so yummy! Would highly recommend. Chicken kebab bowl image and recipe from I Will Not Eat Oysters. 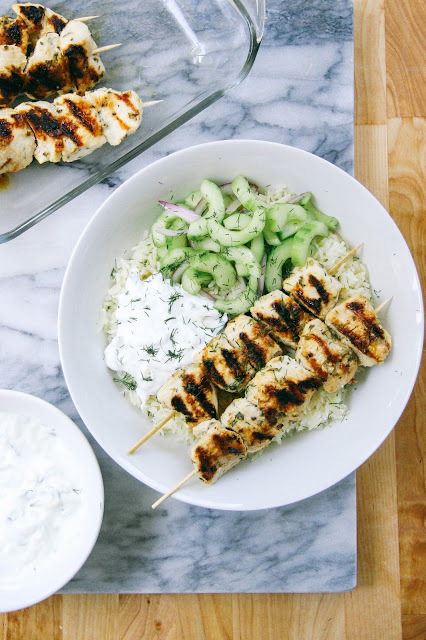 As you may know, we're not eating out this month, so it's the perfect time to try some new recipes like the yummy chicken kebab bowls pictured above. The idea behind not eating out is both to save money, and to try and eat better, so I went in search of some tasty, healthy recipes that I'd love to try (you an follow along on Pinterest). I'll be honest, I don't love cooking. I do it, but only because I have to. The times I get excited about cooking, though, are when I'm trying a new recipe. So hopefully I'll use this as a way to give myself a little kick of motivation. 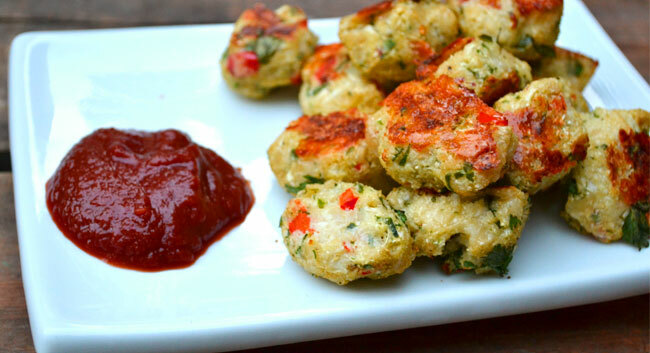 Cauliflower tater tots recipe and image from Farm Fresh to You. Cauliflower has become the go-to carb substitute. I've seen recipes for cauliflower pizza, pasta, and now tater tots! Mark and I made a cauliflower pizza crust last year and while it was time consuming, it was delicious! Eggplant lasagna recipe and image via Panning the Globe. 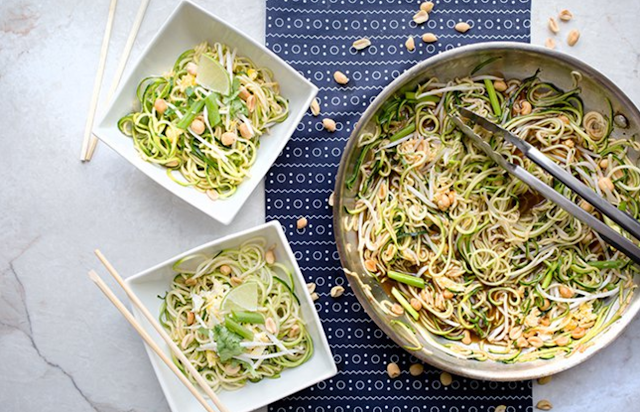 Zoodle pad thai recipe and image via Skinny Mom. I had a zoodle pad thai at a restaurant in Minneapolis a couple months ago and have been wanting to try and replicate it. That would first require me buying a zoodle maker, but I think it would be so fun to try! That's one food trend I want to hop on board with. 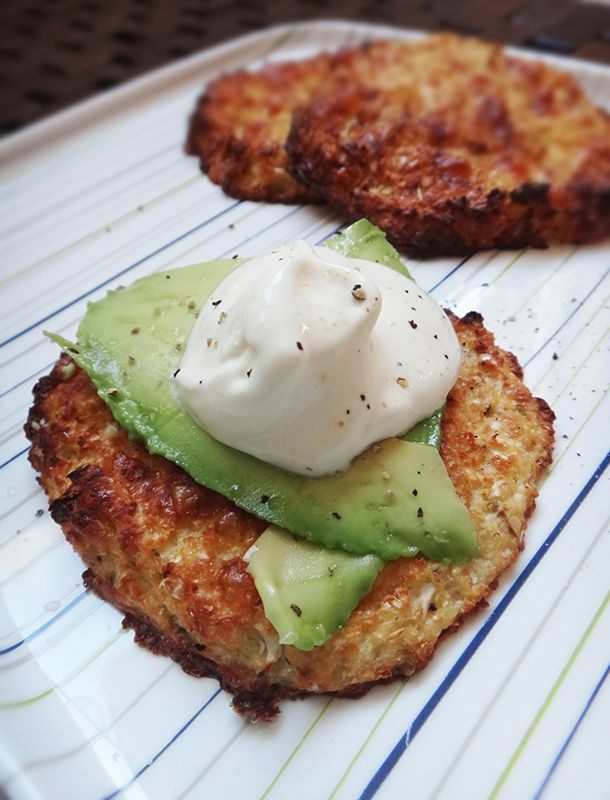 Cauliflower patty recipe and image via Carb Switch. 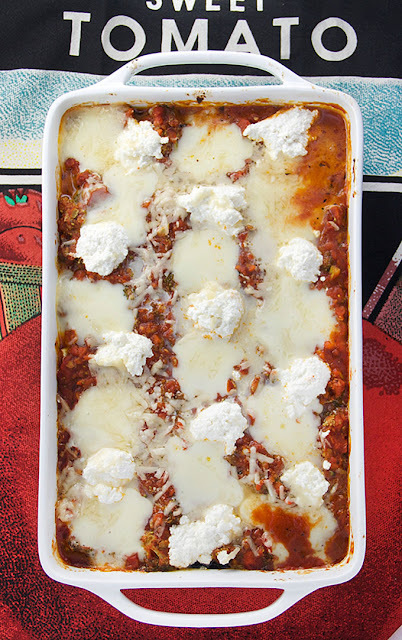 Here's another cauliflower recipe for you! It seriously is the miracle vegetable. Do you have any recipes you swear by, or that you've been wanting to try? p.s. 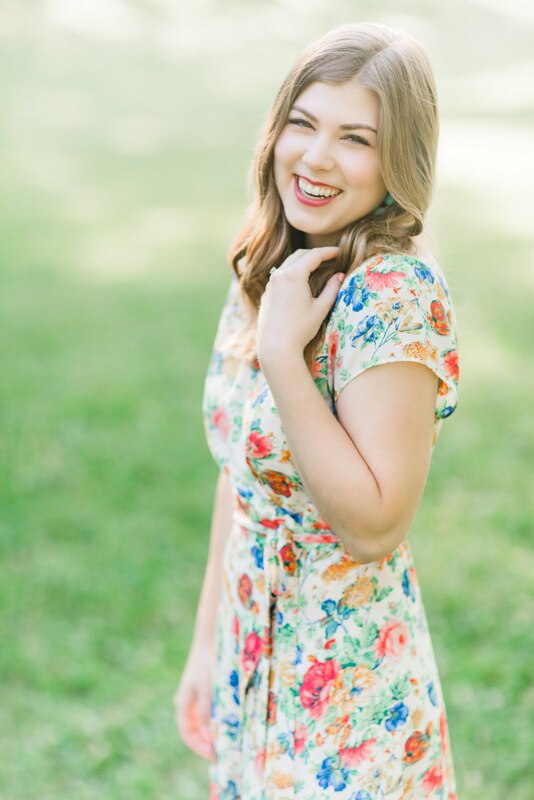 shout out to my friend Kara for helping me with blog post ideas when I have writer's block!